Temenos – Free Counselling & Psychotherapy Conferences! Free Counselling & Psychotherapy Conferences! No Comments on Free Counselling & Psychotherapy Conferences! Simpson House, Temenos & onlinevents are planning a series of free Counselling & Psychotherapy conferences in Edinburgh and online. Delegates will be able to attend the conference in person or choose to view the conference online, live as it happens. There will be no charge for either of these options. The conferences will be held on a Saturday and start at 11:50 and finish 19:30 to allow for Saturday morning travel and cheap Saturday night accommodation in Edinburgh. These events are an opportunity to connect with an audience at the venue and an unlimited audience viewing online. Not everyone has the time, resources or health to travel to a traditional conference. None of these factors exclude participation from this series of conferences as the events are free, available to view from home and available to watch at the viewers convenience. 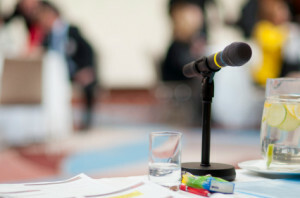 The accessibility of these events creates the widest possible audience for a presenters content. If you have written a book, have some training to promote or have a piece of thinking that you feel will be valuable to the therapeutic community, this is the ideal way to connect with colleagues. To keep costs to a minimum there are no expenses or fees offered to present at these conferences. However presenters will also get the option to participate in the onlinevents online interview programme to help promote the conference. Our interviews are conducted on a Sunday evening using a Skype video call which is broadcast live to our website and watched by an international audience. This is another opportunity to connect with a wide range of colleagues. The conference presentations will recorded by onlinevents and a DVD of the event sold to help fund the costs incurred putting on the event. Following the conference individual presentations will be sold in the onlinevents online shop as a DVD, transcript and MP3 audio file. 10% of the sale price of the individual presentations will be paid to the presenter as a royalty fee. The presentations will also appear in the onlinevents video library. If you are interested at presenting at one of our conferences please click here to contact us as soon as possible. Mentioned by name at the beginning and the end of the event. If you are interested in sponsoring one of our conferences please click here to contact us as soon as possible. Working with Addictions – Saturday 9th March 2013. Each of the conferences will have space for 6 speakers to deliver a presentation and take questions from the audience at the venue and the audience participating online.